Payment of your order in the videoholland webshop is possible in the following ways. Immediately after your payment is received, your order will be processed further. Often you will have your order delivered the very next day! iDEAL, Bancontact/Mister Cash en credit card payments are processed for us by MultiSafePay. A bank transfer via internet banking from abroad is completed within 24 hours on business days. The other payment methods are executed immediately. No matter how you pay: our name will always appear on your statement, so that you can always find in your overview that you have ordered from us. Orders will be shipped on the day your payment is received, if the products are in stock. If you use internet banking at any of the Dutch banks, you can use iDEAL directly, easily and securely in the familiar Internet payment environment of your own bank. 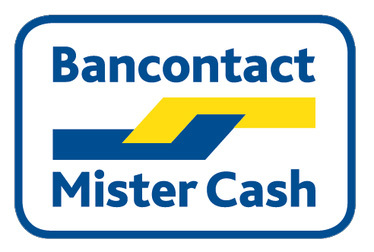 If you place an order from Belgium, you can use Bancontact / Mister Cash, simply and safely pay in the familiar Internet payment environment of your own bank. There is a € 2500,- limit on credit card transactions. For orders above this amount we ask you to pay either with iDEAL or by bank payment. Due to the high transaction fees there is a € 1500,- limit on Paypal transactions. SOFORT Banking is one of the fastest growing payment methods in Europe. Consumers simply pay in their own familiar banking environment. For a pick up appointment CONTACT us after placing your order by phone or email.